The latest entry into the famed Devil May Cry series arrives today on Xbox One, Playstation 4 and PC with the Stylish Devil May Cry 5. Over-the-top action awaits as Dante, Nero and newcomer V all get set to do battle against horrific otherworldly entities. The ultimate battle of good vs. evil begins here, and each of the characters has their own unique styles in combat. 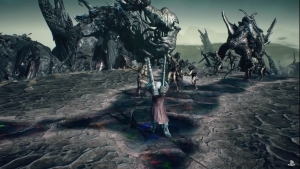 There is also new content coming post-launch, with the fan-favorite Bloody Palace coming in April. 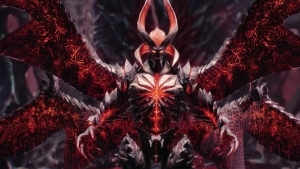 This mode will pit players against progressively more challenging, fast-approaching enemies and bosses until they reach the end of the palace. 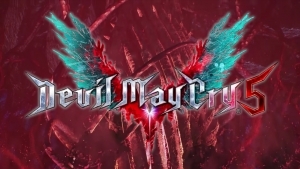 In addition to the MSRP $59.99 standard edition of Devil May Cry 5, the MSRP $69.99 Deluxe Edition is also available today, featuring the full game plus: four alternate devil breaker weapons for Nero, motorcycle weapon variant for Dante, alternate style rank and title screen announcers, behind the scenes live action cutscenes, and classic battle theme music options. For serious demon hunters, the Devil May Cry 5 Collector’s Edition, exclusive to North America, includes everything from the Deluxe Edition, as well as a replica model of Nico’s motor home, art book and notes from Nico’s workbench, premium pin, bumper sticker and an 11″ x 17″ exclusive cloth print all for MSRP $149.99.